MaNEP NCCR has been very productive with major contributions to science, as examples, we can mention the quest for an understanding of the phenomenon of high-Tc superconductivity, one of the major challenges of contemporary physics, and one of the central objectives of MaNEP. Superconductivity consists in the dissipationless flow of electrical current, an amazing phenomenon that emerges as electrons bind into pairs to form a new ground state. During its twelve years mandate, the understanding of the various mechanisms by which high-Tc superconductivity can be obtained progressed a lot in a worldwide effort where the MaNEP collaboration has played — and continues to play — a key role. The exploration of the electronic properties of LaAlO3/SrTiO3 heterostructures, which has led to the discovery of superconductivity at the interface between two good band insulators, is among the most widely publicised research to which MaNEP has contributed. It has also provided another excellent example of collaborative work exploiting the complementary expertise existing within the MaNEP network. Fascinating new materials (graphene, pnictides), processes (atomic-scale material synthesis) and physical concepts (topological insulators) were discovered worlwide and developed during the twelve years. The NCCR scheme has given Switzerland all the means and flexibility to adapt rapidly and make significant contributions to these emerging topics. MaNEP NCCR benefited to the access to large scale research facilities at Paul Scherrer Institute and participated to new developments. A key breakthrough has been the development of resonant inelastic X-ray scattering (RIXS) to probe elementary excitations in solids that are not otherwise easily accessible experimentally. Among others, RIXS enables probing the dispersion of orbital and magnetic excitations. For the latter, it can be considered as a useful alternative or complement to inelastic neutron scattering. 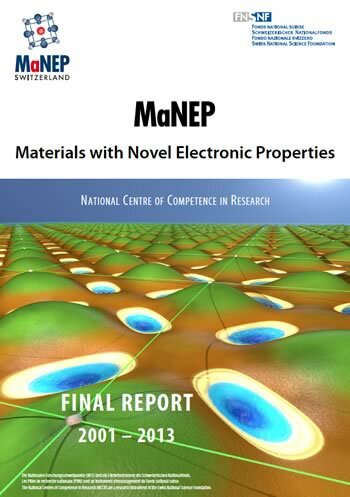 While the main focus of MaNEP NCCR was the fundamental understanding of materials with novel electronic properties, contributing to the development of these electronic materials for practical applications was also a key strategic objective. In practice, the NCCR has been exploring the possibility to introduce some of the materials explored in fundamental studies into industrial applications, focusing, among others, on high-end instrumentation, micro- and nanoelectronics, energy production and storage, sensors and actuators, the tool machine and watch industries. A major achievement in applied superconductivity has been the improvement of superconducting wires (e.g. based on Nb3Sn) leading to world-class records of performance of electrical current transport. The MaNEP network has led to a common and in many ways coordinated approach to various problems of relevance to the quest of novel and technologically interesting materials. On the international scene, MaNEP has established a strong reputation with recognised research and significant contributions to many opennhot topics. 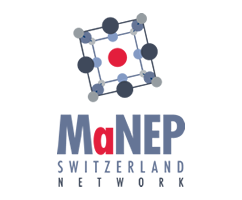 The Network of scientific competences gathered during MaNEP NCCR continues to strive for the same efficiency, through MaNEP Switzerland Network, the association.